Transparent overdrive pedals are overdrives or distortions that don’t overly color your sound. These pedals are great for adding light to medium distortion while maintaining your core sound. Many guitar players will leave a transparent overdrive always on. This way they have a slightly dirty clean tone to build off of. A great way to substitute your amp’s boring clean tone with something a little more exciting. In this article we’ll go over our top picks for the best transparent overdrive pedals available in 2017. Leave us a comment if one of your favorites didn’t make the list. This pedal has really blown up in the last 5 years and I’ve been seeing it on more and more pedalboards. With only one knob for Level/Drive it really is a simple and elegant pedal. It doesn’t provide a tone knob, which to some may be a downside while others may find the simplicity appealing. 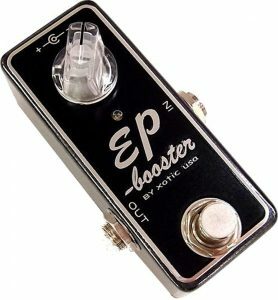 The Xotic EP Booster is based off part of the preamp circuit from an old Echoplex. Really cool of Xotic to recreate such a coveted sound in such a small and easy to use package. With the knob rolled all the way to the left you get completely transparent sound, around noon you will get some sparkle and warmth. With the knob all the way to the right you get a pretty saturated amp break up kind of sound. The EP Booster delivers 20 db of headroom and a great musical sound. Really awesome subtle pedal for leaving on at the end of your chain or as a boost! The JHS Morning Glory really shines as a low gain clean distortion. It comes with a few extra features than most of it’s competitors. Firstly the side mounted bright cut switch is great for switching between amps or guitars. It allows you to quickly dial back the overall brightness of your sound while keeping a useful tone knob that isn’t too jumpy. The Morning Glory also comes with a higher gain switch that allows you to use it as a more full on distortion pedal. Finally, it has an input for plugging in a favorite switch. So you really get two pedals for the price of one. A higher gain distortion with a lot of character and a transparent clean boost. 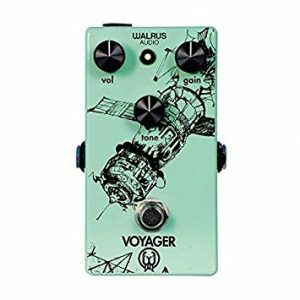 Similar to the Xotic EP Booster the Walrus Audio Voyager does one thing and it does it well. It provides really smooth but well colored transparent overdrive. The gain knob does allow you to push this further into a middle gain distortion but it really shines with the gain at less than noon. Really high quality sound in this transparent pedal. Hard to go wrong with Walrus Audio. 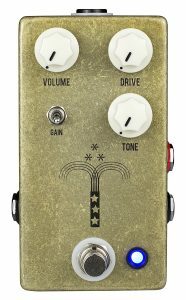 This is one of the most affordable clones out there of a very famous pedal called the Klon Centaur. The Klon Centaur sells for well over $1000 these days so the EHX Soul Food is a welcomed alternative! Many people will argue the soul food comes very close to the Klon Centaur in sound. If you’ve never tried a Klon type overdrive pedal I highly recommend it. It’s a sound that seems to defy logic. It maintains it’s smoothness without being muddy or muffled. Also, it doesn’t push the middle frequencies hard like a tube screamer. 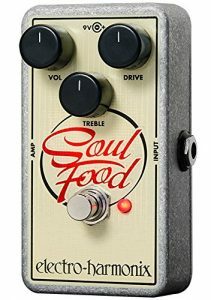 The EHX Soul food is a really great transparent overdrive. The Timmy creates a world of it’s own. Really versatile overdrive pedal with great controls. What I really like about this pedal besides the obvious sound quality is the separate knobs for treble and bass. This really allows you to dial in the sound of this pedal on any amp. 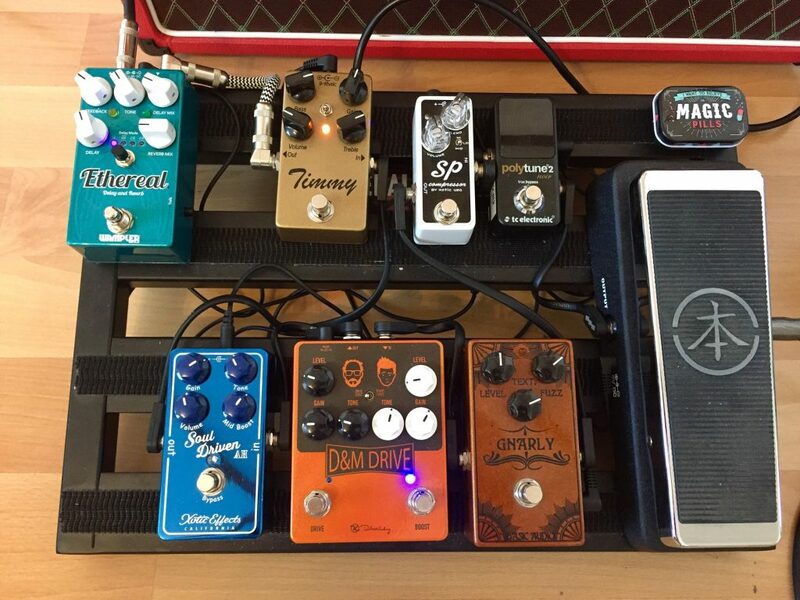 Rather than needing to choose a specific matched overdrive for your amp you can get a great tone on any setup. To me this is what transparent overdrive is all about, taking your basic amp sound to the next level. 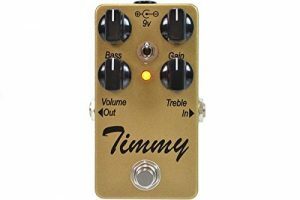 The Timmy captures tons of great overdrive tones in a small versatile package. Check it out! Hope you enjoyed our list, see you next time!